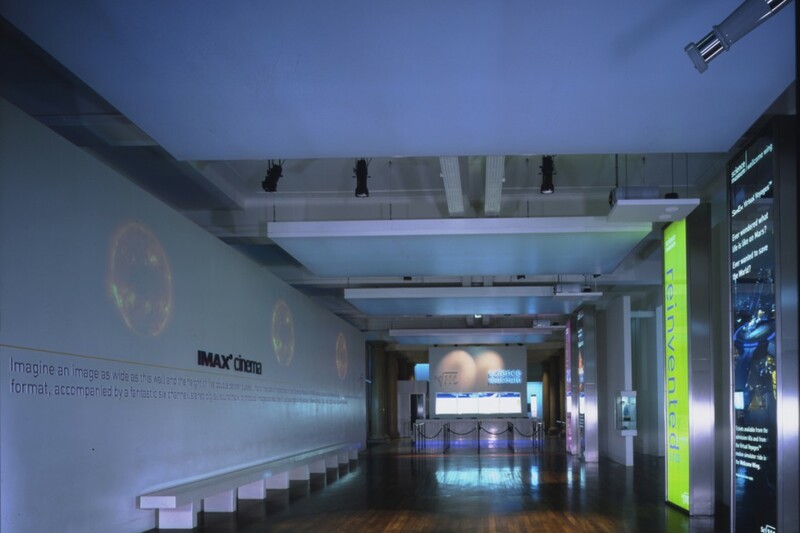 Some time ago into were approached by the Science Museum in London to create a dramatic lighting scheme for the refurbishment of the main entrance and ticket hall on Exhibition Road. 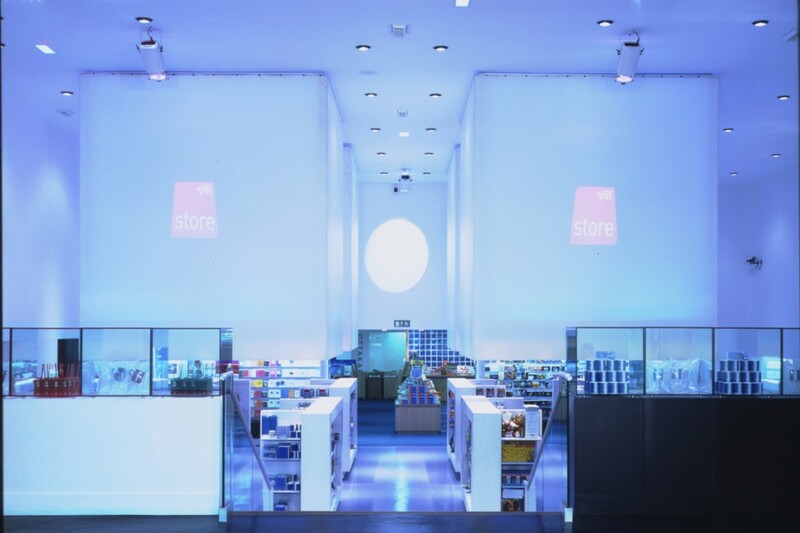 The scheme was to encompass the gift shop as a homogeneous design and needed to clearly communicate this as the main entrance, while at the same time introduce some theatre to queuing customers. The project was a landmark for into and part of it is still in use at the museum. 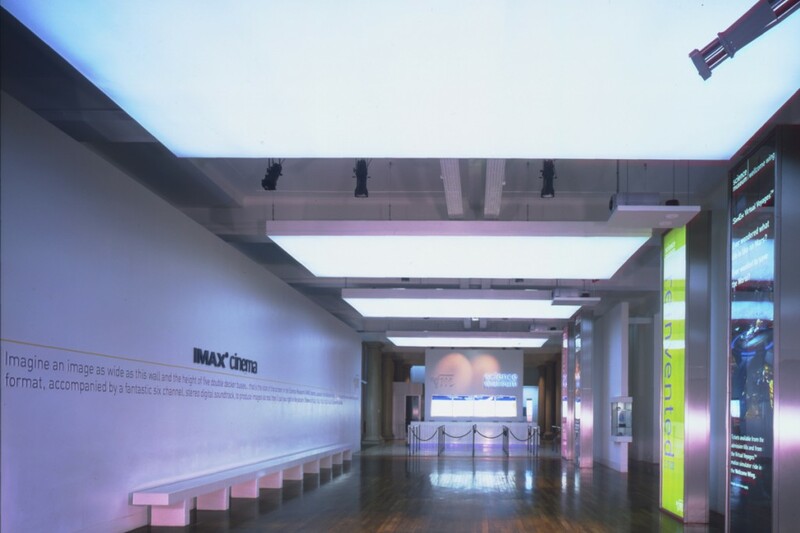 Huge light boxes suspended from the ceiling provide a diffused light and are very visible from outside. Made from PVC stretched canvas, they were bespoke-made to fit the space and were a challenge to design with an even light effect, while also building in access to maintain banks of fluorescent and dimmable gear. In between the lightboxes theatrical projectors give contrasting warm pools of light using ETC Source 4 fittings. Some of these have gobo slides to project logos and messages on the floor and walls. The light boxes dim automatically on timers so that the light from the projectors can then dim up and become the focus. The designed entrance was fittingly futuristic, with an impact that has stood the test of time. The space is much better used and the gift shop is as popular as ever, maintaining its importance for the museums revenue.